Why did you choose that region of the world? 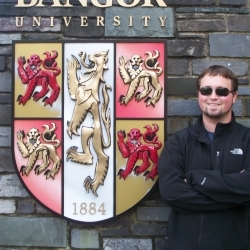 I chose to go to Bangor University (Wales, United Kingdom) for a few reasons. The first of which was that this school offered the most relevant classes to transfer back to my degree at UBC. The second reason was that Bangor was only 3 hours from London by train and I knew that this would allow me to travel throughout Europe and gain the most out of my international experience. Finally, Wales presented an opportunity for me to experience living in a foreign country with the ease of being able to communicate in English, while also allowing me an opportunity to learn Welsh and experience this unique culture. Each aspect of the exchange made it what it was and I would not change a thing. What was the highlight of your exchange? To be completely honest I cannot pick just one highlight of my exchange. Each aspect of the exchange made it what it was and I would not change a thing. Probably one of the greatest opportunities I had was to live with a fellow student from UBC and find out that in total there were 4 of us from UBC Forestry at the university. I also had friends from the Czech Republic studying in Cardiff and Manchester (both close by) which all came as a great surprise! To sum this up I guess the people were one of, if not the greatest part of the exchange. Not only those I knew beforehand but also those I was able to meet and stay in contact with as a result. After graduation I intend to continue gaining more international experiences. I have now lived in Ontario, British Columbia (Canada), Czech Republic, and Wales. 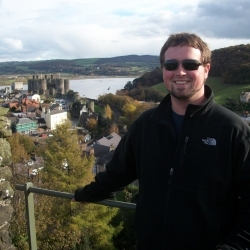 In August 2012 I will be moving to Japan for at least a year as an English teacher. After I have completed this journey I would like to pursue a Masters degree in the USA, Europe, or Australia. For now that seems a long time away, and after finishing university perhaps it will be best to relax for a while in Japan and see what opportunities present themselves.